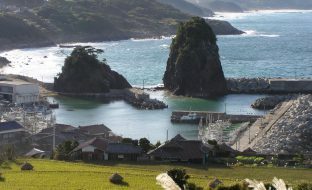 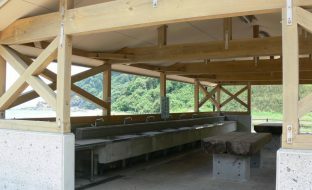 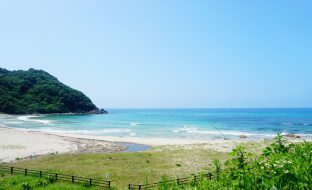 Nii-no-hama is a white sand beach and swimming spot with beautiful crystal clear waters, and is also used as a campground. 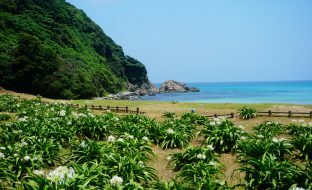 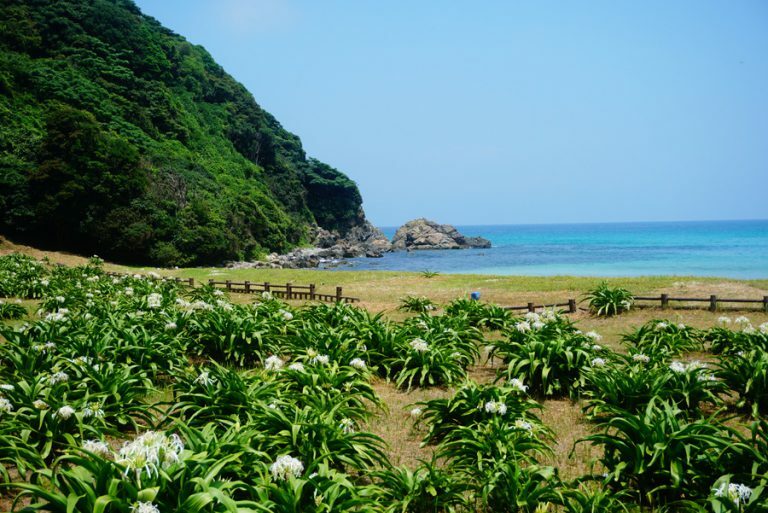 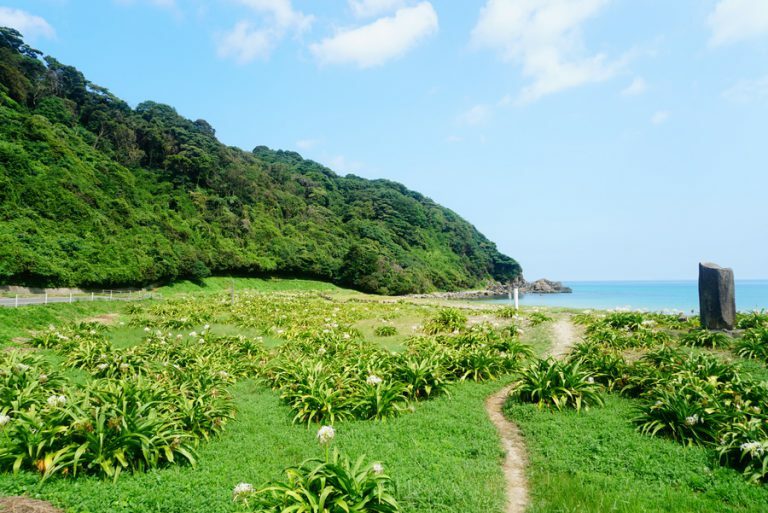 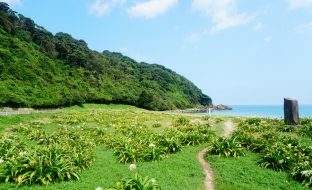 Along this pristine beach, clumps of perennial spider lilies bloom sweet and white during the peak of swimming season, from July to August. 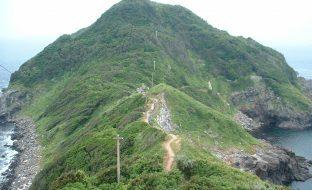 *Not accessible via public bus or train. 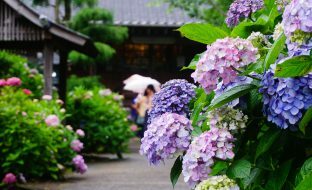 Please make your visit via car or taxi. 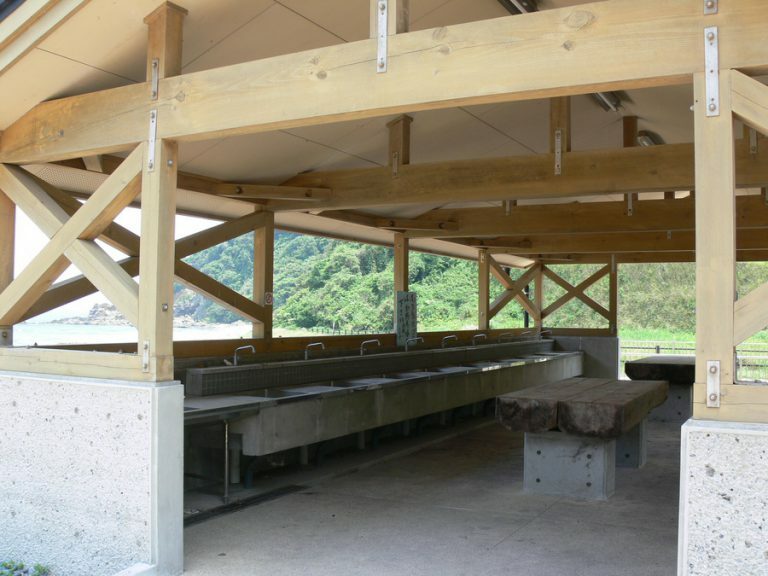 Parking fees apply during swimming season.